Thanks to wearable fitness gadgets such as Jawbone’s Up and Up24 wristbands, it’s now very easy to get some sense of how many calories you’re burning as you go about your everyday activities. But figuring out how many calories you’re consuming–and other aspects of your eating habits–is still work. Jawbone’s smartphone apps, and the ones which work with other gizmos such as FitBit, include tools which let you log your meals. I frequently get excited about using them. And then, once I start keeping a food diary and remember how much fumbling around it requires, I slack off. 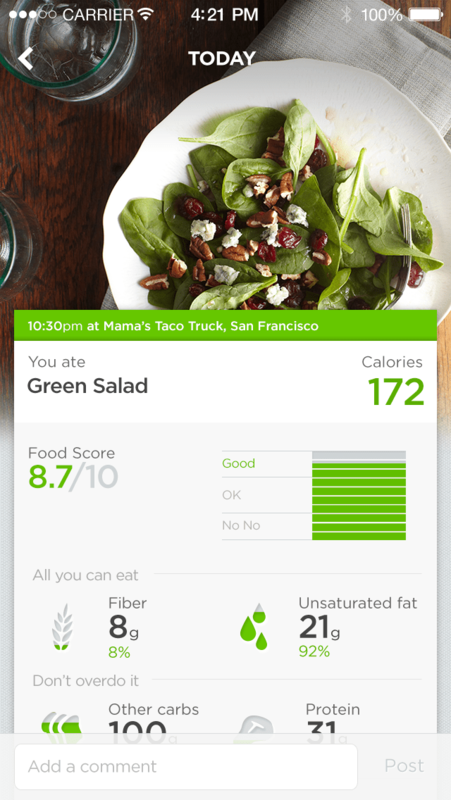 With a new update to its iOS app, Up 3.1–Android version in the works–Jawbone is trying to make tracking what you eat easier, and to help you use that information to lead a healthier lifestyle.